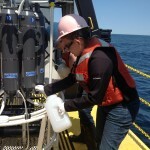 Michelle Howe on the R/V Lake Guardian. 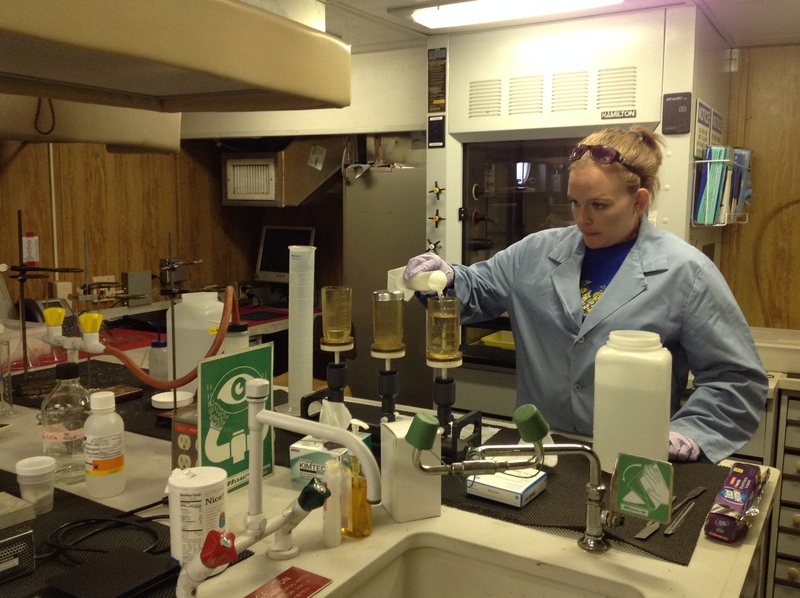 In the wet lab on the R/V Lake Guardian filtering water samples to look for micropastics. 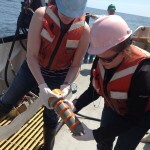 Collecting sediment from the chlorophyll layer of Lake Michigan looking for microplastics. 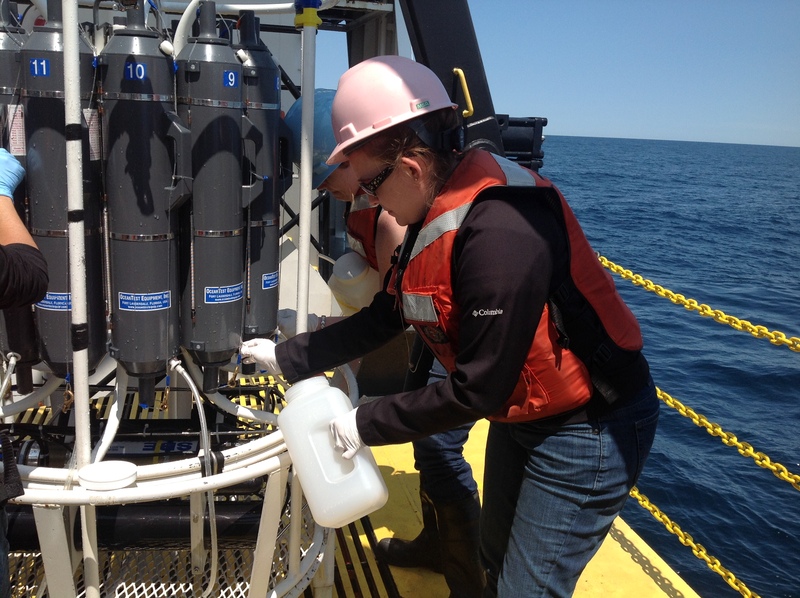 Collecting water samples on the R/V Lake Guardian using a Rosette. The Great Lakes are our largest fresh water supply on earth. We must protect this precious resource or it will not be available in our future. As a human population we all need to work together to restore, preserve, and protect this valuable resource. The Great Lakes are everyone’s responsibility. My students are the future stewards of our environment and it is important that the students learn and understand how important their job is in our future to protect not only the Great Lakes but the environment as a whole. 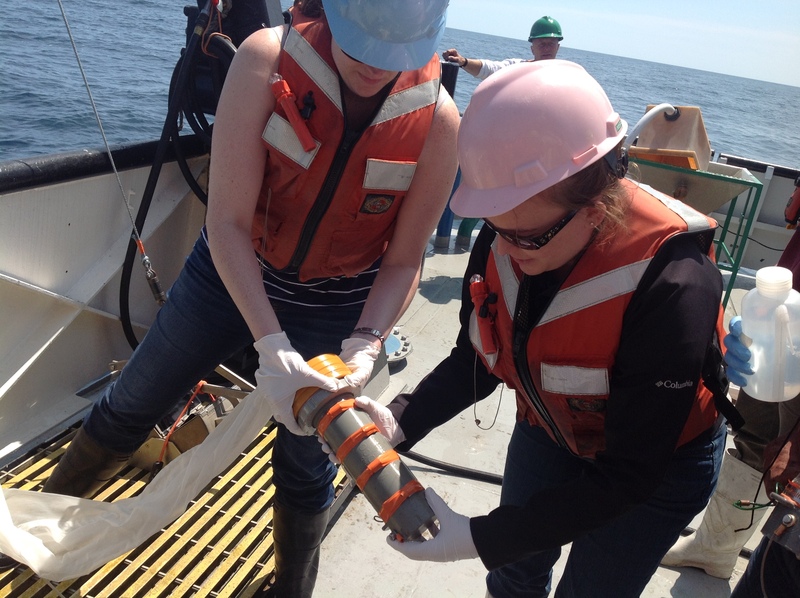 I love showcasing how scientists perform research on the Great Lakes and how their research affects us no matter where we live. 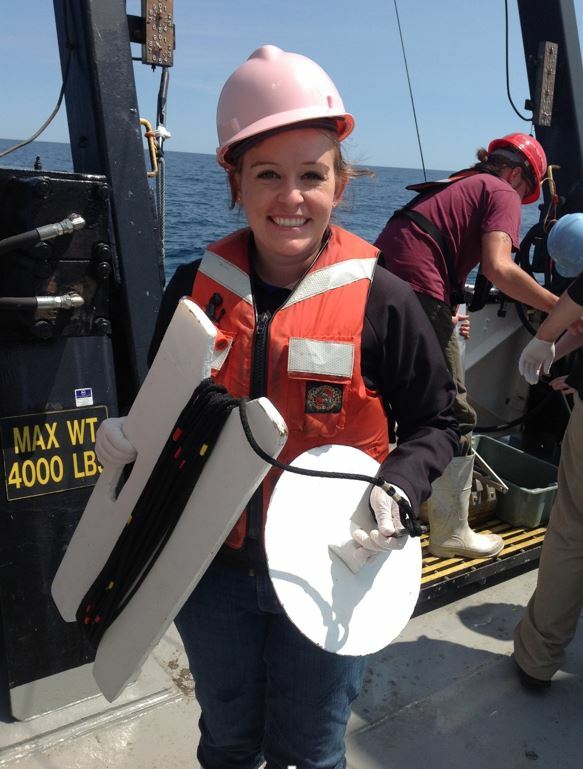 By participating in the Shipboard Science workshop on Lake Michigan I was able to learn first hand how science is conducted on a research vessel. I take those lessons back to my classroom to educate my students about what is being done to study the Great Lakes. This is a real eye opener to the students as they have no idea the intensity of research that be being conducted to help protect the Great Lakes. 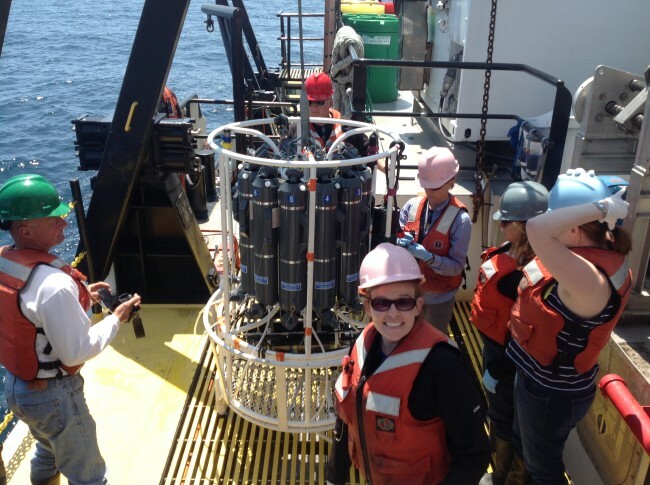 I show the students the tools that scientists use on the R/V Lake Guardian to conduct their research and explain the reason why we do research. Students always love getting their hands wet. We perform water quality tests, “clean up” pollution in a mock lake, educate others about possible pollution sources, determine how water quality affects living organisms and more. 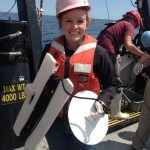 Students also participate in learning the ecology of the Great Lakes and the organisms that live there. I also work with the students to teach them how the Great Lakes affect them and if we lost this precious resource what the consequences would be. Students have learned about how water can be polluted quite easily if we are not aware of what we are doing. Students learn about the different ways water is polluted and what we can do to stop it. Students then create displays and educate others about different pollution sources and pollution prevention. 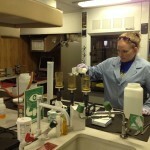 Micro beads are also a hot topic at this point in Wisconsin and the United States. Students love going home or to the local store and determining where they are micro beads and verbally educating others about those products.